We have a small gallery here that we have sold our work through since 1982. In the past few years sales here have slowed down in numbers. We still have walk in traffic but you need to be more creative in the days of the internet. 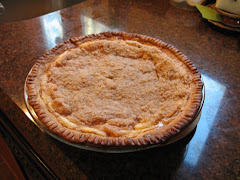 We started the blog, then blogs went the way of FB, instagram, and probably things I have no clue of. We have folks that contact us to fill a space in their house. It helps us greatly to get a picture of the space to be filled. 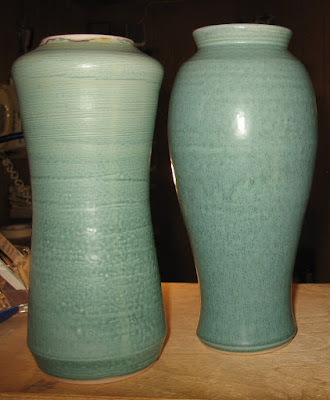 As soon as I saw the pictures I thought of these soft, satin, green/blue glaze that we have been using for a few years. A few back and forth pictures and we shipped off the one to the right, which turned out to be a perfect choice. It is one of our greatest pleasure seeing our work out there being used. We have a long time customer that sent me a great picture of 4 of our pots last month. When I see something such as this I think it is so perfect to see how they have come in and pulled our work into a look for their home. I love the large wall hanging that works so well with those pots. And here is that mug made for a friend's husband who has a large hand and needed a bigger mug handle. Feels good to make things work. 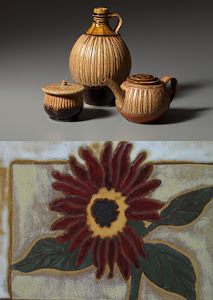 Thanks for sharing about your interior designer pottery! It's beautiful, as well as sometimes functional! Or as a teacher once told me, it is all functional, beauty being one of the functions of course. I love all my beautiful and useful pots from you and Mark! The fireplace arrangement of pots and wall hanging is stunning! I thought they looked really good together. Hi Peter - nice to hear from you.